Do you keep a sketch book? If you are like me, the quick drawings in my sketch book are free and spontaneous, while often my ‘real art’ becomes tight and controlled. I fight getting locked into my approach to drawing, I get scared that letting loose will take my drawing/painting into a place of no return…..Here is a really great exercise in approaching drawing/painting that forces you to ‘let go’. 3) Go to Filters: Blur: Gaussian Blur and blur the image so only contrast is evident. Save image. 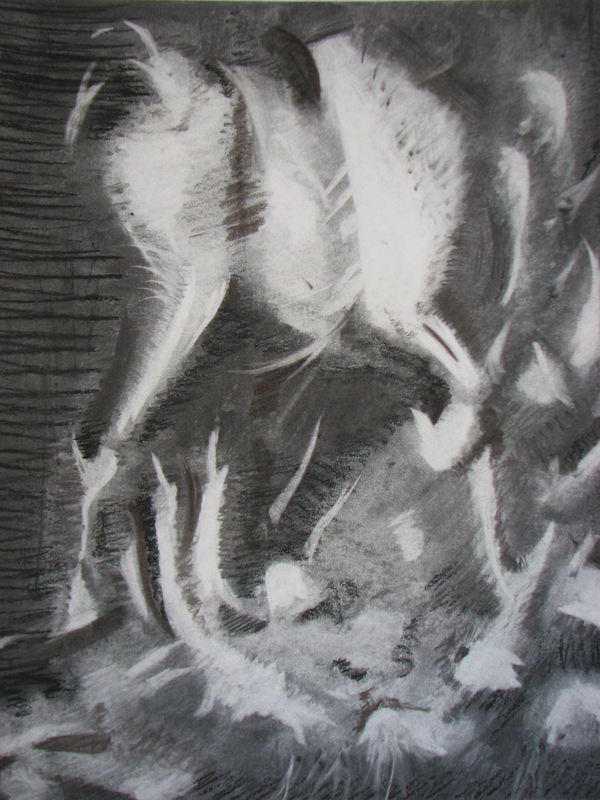 Categories: Art Methods | Tags: art education, drawing exercise, Photoshop blur | Permalink.